Specially-designed anchors and lifeline systems for seam roofs - most of which can be installed without penetrating the roof surface. Flat roof safety systems to secure falling edges and domed rooflights - ranging from anchorage points to lifeline systems. Lifeline systems and anchors for installation on virtually any type of wall surface. Vertical fall protection using vertical lifelines and ladder safety devices. For flat and pitched roofs: Designed for permanent or temporary installation - or simply weighted down. Roof safety hooks, traversable anchorage systems and guard rails for pitched roofs. 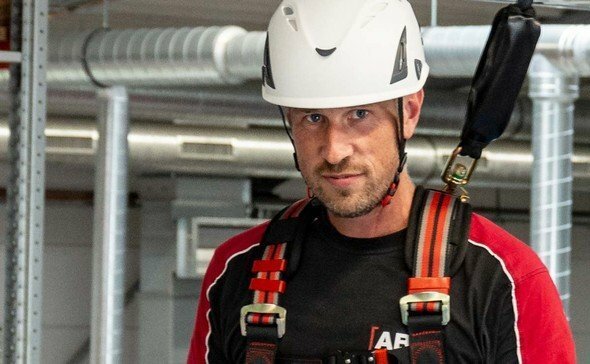 Overhead fall arrest systems based on fully traversable systems, self-retracting lifelines or single anchorage points. Please use our Contact Form for any enquiries you may have or for more information on our products and services. You can also arrange a call-back appointment – or simply give us a quick call. Our series of short video clips will help you! 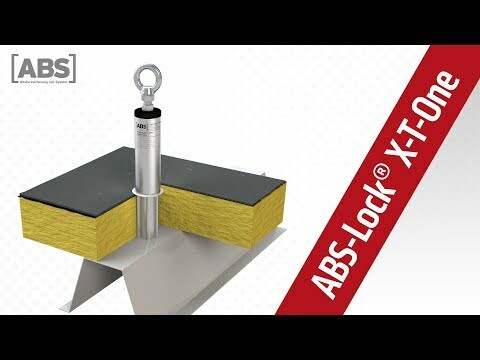 Product videos about anchorage points and fall protection. Anchors and lifeline systems, rail guards and roof safety hooks. 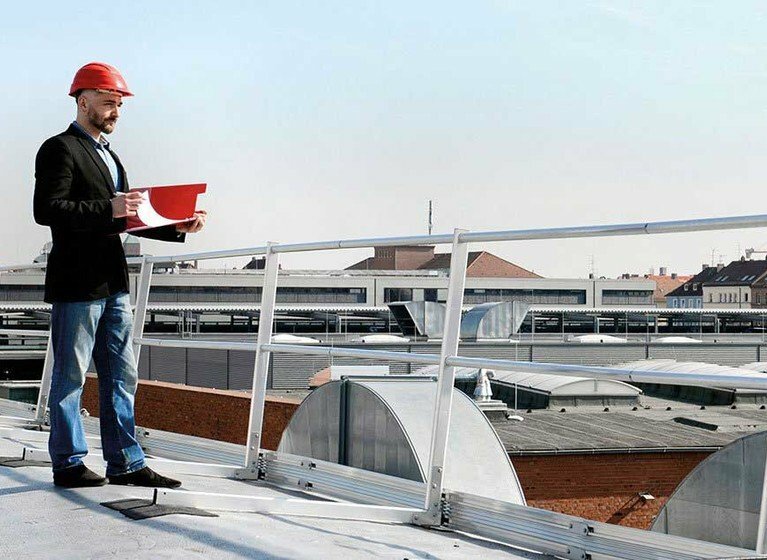 We are your partner for installing, servicing and inspecting modern fall protection systems! 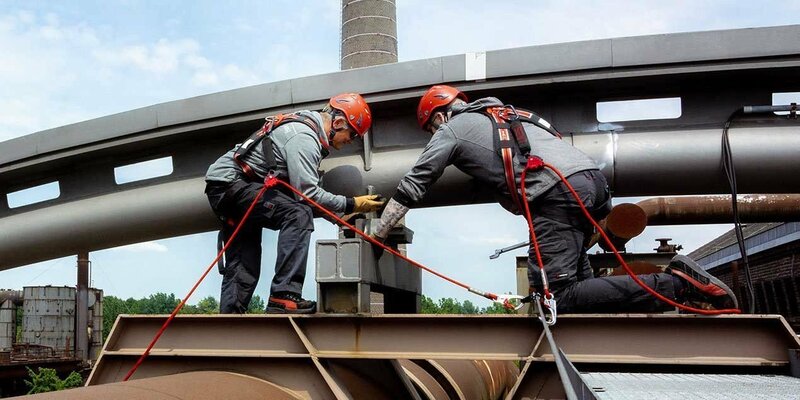 Whether you are looking for collective protection, a retention or a fall arrest system: Implementing an ABS Safety fall arrest solution provides you and your employees with the best possible protection against deadly falls at the workplace. 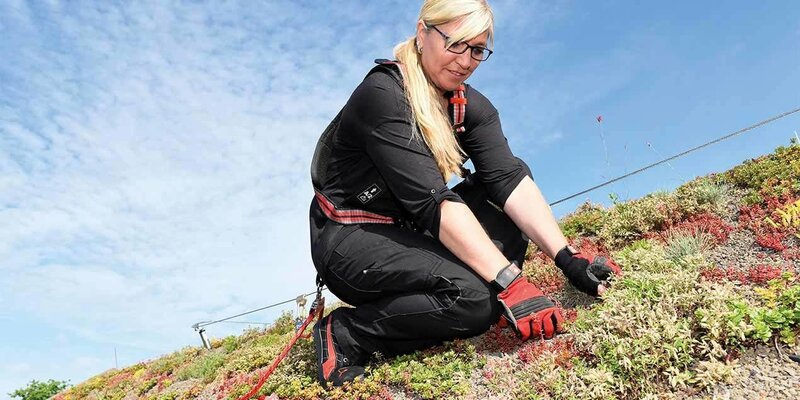 We offer a broad range of solutions – from ladder safety devices to modern anchorage points for several users and customised lifeline systems aligned to your individual needs. Use our solutions to secure your access routes on roof surfaces, in industrial halls or at your production line location. Virtually any system length is possible and at any desired height –in a completely interruption-free design. We offer reliable safety systems for pitched and flat roofs, solutions for crane ways and machine parks, safety devices for facades and a great deal more. Our strength lies in producing flexible systems for a wide array of difficult sub-surfaces and installation conditions, including wood, pumice, hollow concrete, suspended ceilings, trapezoidal sheeting and bitumen. 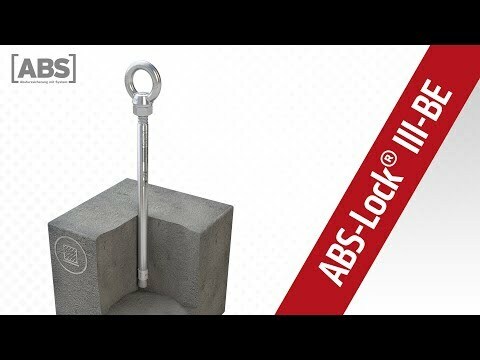 All the single anchorage points / anchors and lifeline systems produced by ABS Safety correspond to the very latest state-of-the-art technology and are generally manufactured from high quality stainless steel. 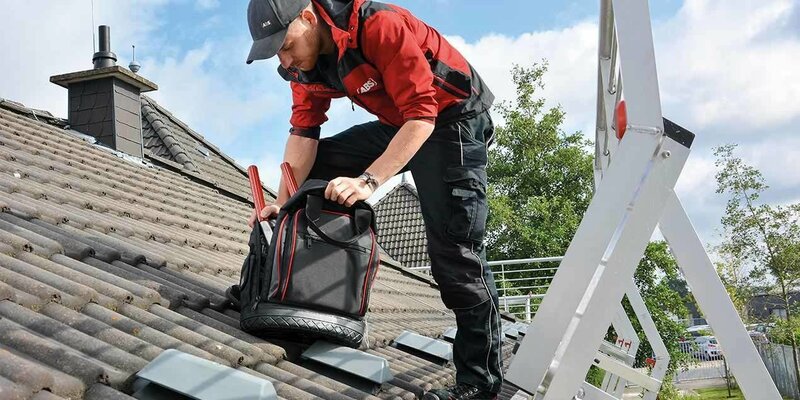 The development of our products is aligned to the provisions and regulations of the German Social Accident Insurance scheme (DGUV) as well as German labor law so that you can be absolutely sure that roof work and other tasks carried out high up are not only carried out safely but also in full compliance with the respective provisions. 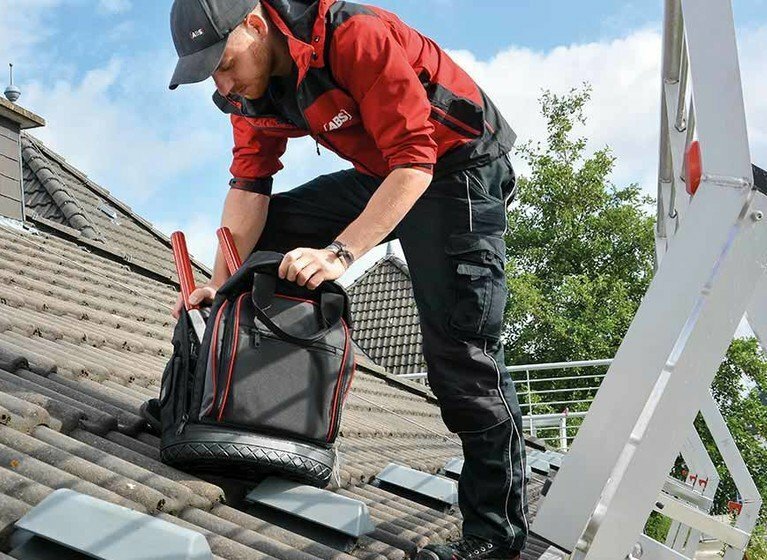 Our fall arrest systems comply with current standards, such as EN 795, CEN/TS 16415 and EN 517. Many of our products have received national technical approval (abZ) from the German Institute for Construction Technology (DIBt) and bear the official Ü sign. 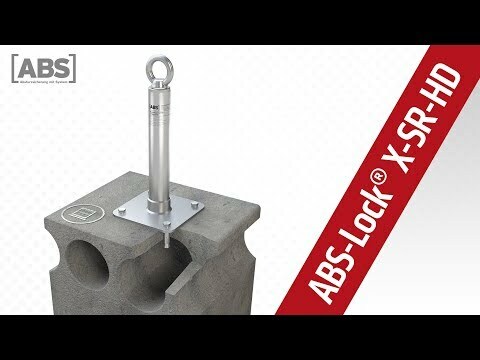 Another major benefit: ABS Safety anchorage devices are manufactured for the most part in Germany. That means you benefit from short communication channels, good delivery performance and comprehensive service: Support throughout, if you require it - from the initial installation to servicing your equipment. 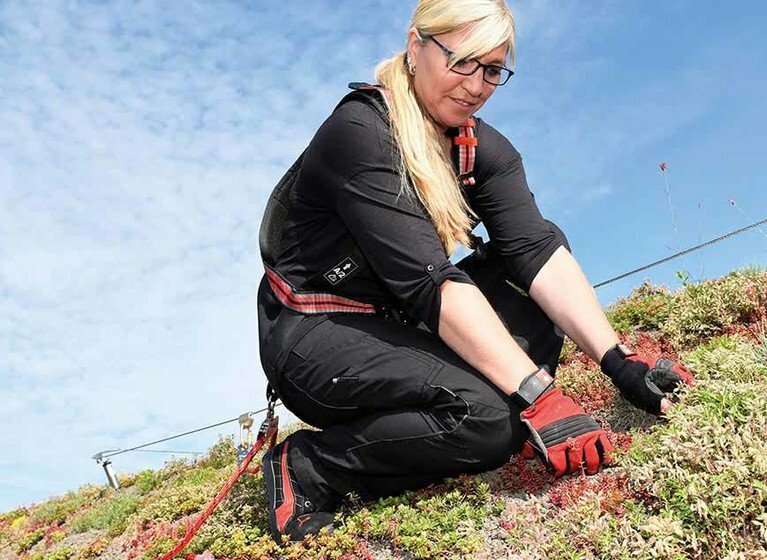 In addition to our anchorage points, we also offer a complete range of personal protective equipment and services (PPE) specially designed to prevent falls. 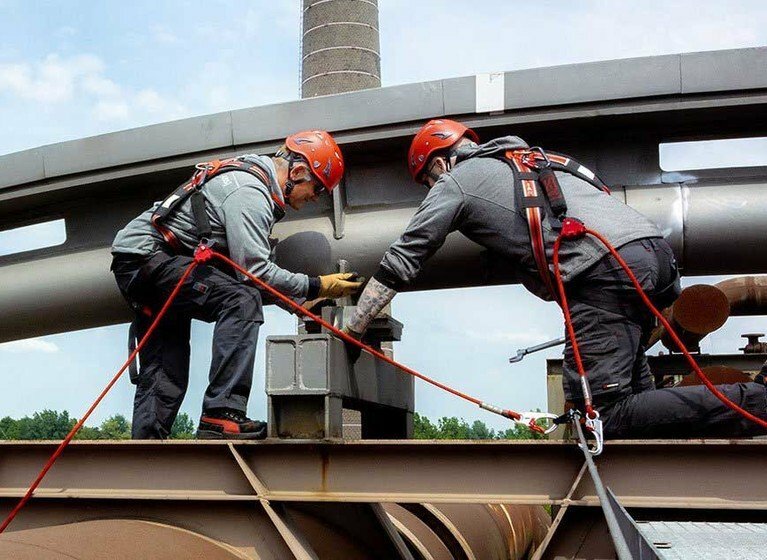 For over a decade, we have been specialists in designing and producing fall arrest systems and solutions for virtually all areas of application. We have developed our anchorage devices and safety systems in-house in accordance with the very latest production techniques - and send these out from our main office located in Germany’s Lower Rhine region to destinations all around the world. In order to achieve the ultimate in security, all our products are subjected to static and dynamic load testing using an ultra-modern drop tower which we believe to be the only one of its kind. Our quality concept is augmented by regular examinations carried out by independent test institutes, such as DEKRA Exam and the Karlsruhe Institute of Technology (KIT).